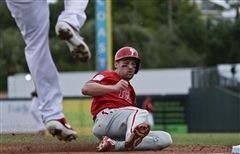 Congratulations to Phil Gosselin '07 who was called up to the Phillies earlier this week to fill the position of utility infielder until further notice. Read more. Congratulations to Sean Christman '17 who received an Honorable Mention nod from the Patriot League Players of the Week. What an awesome experience! 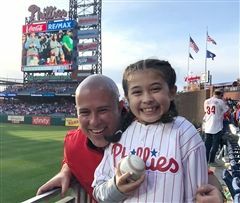 Malvern alumnus Matt Brady '99 and his daughter, Kayla, caught a ball from Bryce Harper during the Phillies home opener last week. Read the full story. 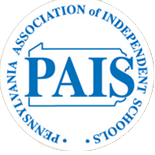 Downingtown East Hockey Head Coach Dave Hendricks '96 led the team to a 7-2 victory in the 2019 Flyers Cup Eastern PA Championship. Dave previously coached JV Hockey at Malvern Prep before moving to Downingtown. Read more. Trevor Morris '15, one of the most productive defensive players in Rutgers history, will participate in local Pro Days for both the Philadelphia Eagles and New York Giants during the pre-draft process. Best of luck, Trevor! Read more.